Government introduced a bill that extends the list of grounds for unscheduled inspections of non-profit organizations, the Ministry of Justice. The text of the document is published on the website of the lower chamber of parliament. The bill proposes to extend to all NGOs conditions for unscheduled inspections on now only organizations that operate in Russia as foreign agents. 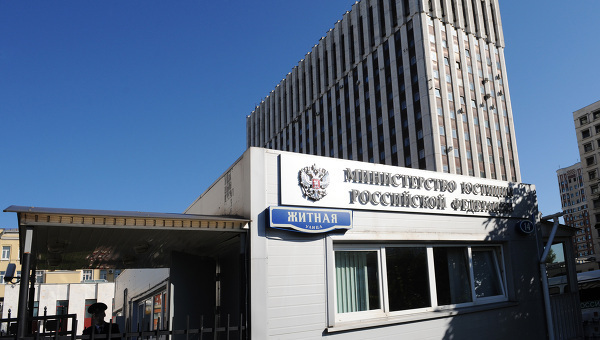 In case of acceptance of the document the staff of the Ministry of Justice will be able to come to any NGO to unscheduled inspections in four cases. These include, in particular, include the expiration of redressing the violation for which the organization previously received a warning, and the flow of information from government agencies about the illegality of the organization and its work in the presence of signs of extremism. In addition, spot checks may be carried out on the proposal of the election committee or at the request of the president, the government or the prosecutor. The explanatory note to the bill states that currently have no way of Justice to react to incoming information about the violation of the laws of non-profit organizations. This is due to the fact that the only reason for unscheduled inspections of a large part of NGOs now is the receipt of the election commission about sponsoring organizations of political parties. During 2012 the Department of Justice conducted a test in almost six and a half thousand non-profit organizations. Thus, according to the ministry, only 206 of them were unplanned inspection. In the spring of 2013 in Russian NGOs were massive unscheduled inspections to identify those organizations that carry out political activities and receiving foreign funding. In accordance with the decision taken in 2012 by the law, such NGOs were required to register as foreign agents. These checks are carried out on the initiative of the Prosecutor General’s Office, whose mandate to conduct unscheduled inspections is much broader than that of the Ministry of Justice.